You thought you heard trumpets heralding “The One.” It turned out to be a horn at the scene of an accident. And no matter how hard you try, you just can’t get the sound of the crash out of your mind. Because it’s the goodbyes that echo in our minds more than any declaration of undying love. 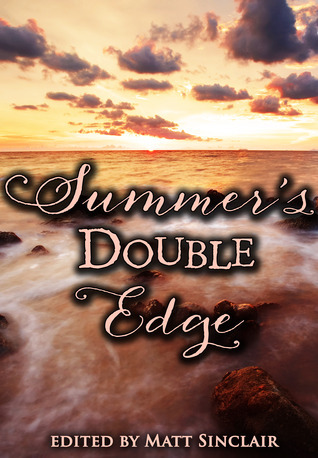 Summer’s Double Edge offers a look at relationships that weren’t built to last. Mindy’s short “Anaesthetic” is included in this anthology.